For IF: Even with her engine in reverse, she couldn't stop herself from lifting off the hill. 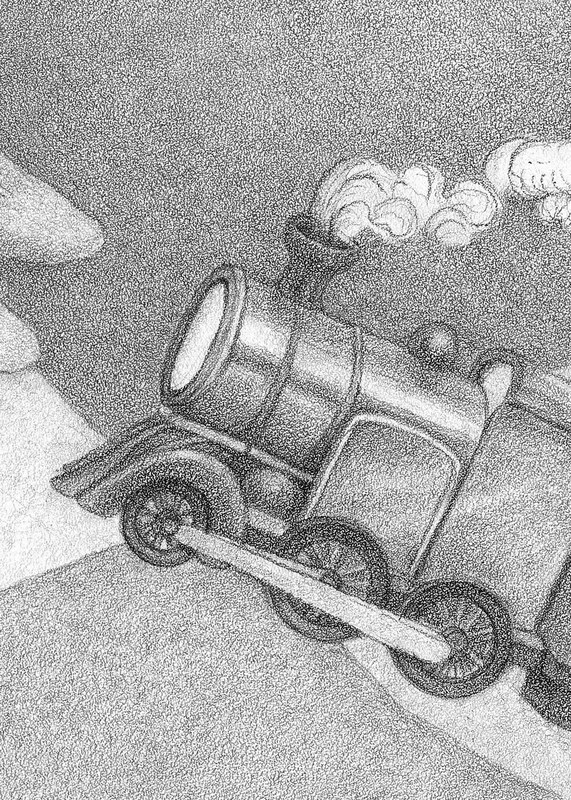 Actually, this is part of one of the drawing for my new print quilt, Dreamer in Training. I'm burning another test plate for this today; the first one turned out way too light. I'm going to radically pull back on the exposure this time; another reversal! What you do for black and white is amazing! Happy weekend! Love this... black and white is indeed amazing... had to go pick up graphite so I can try my hand after seeing this earlier. What you show looks good!